On Tuesday, we met with Holly Morris from the Fox 5 Morning show. 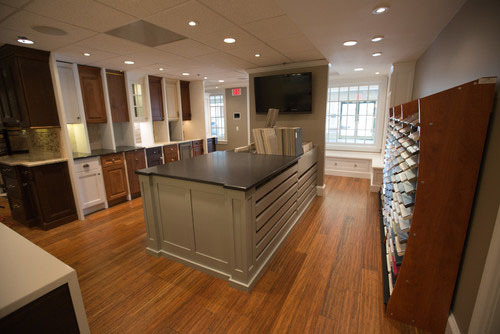 We had the opportunity to walk Holly and our viewers through our newly remodeled design studio and share how we serve as the largest full-service residential remodeling company in the greater Washington area. As a family owned company that has been in business for over 50 years, we strive to build a trusting relationship with our clients to facilitate an enjoyable remodeling experience. We enjoy giving back to the community through initiatives like “Case Cares” which allows us to build and remodel homes for those in need. Follow the link below to watch the segments and explore how Case can make your remodeling experience easy and fun. 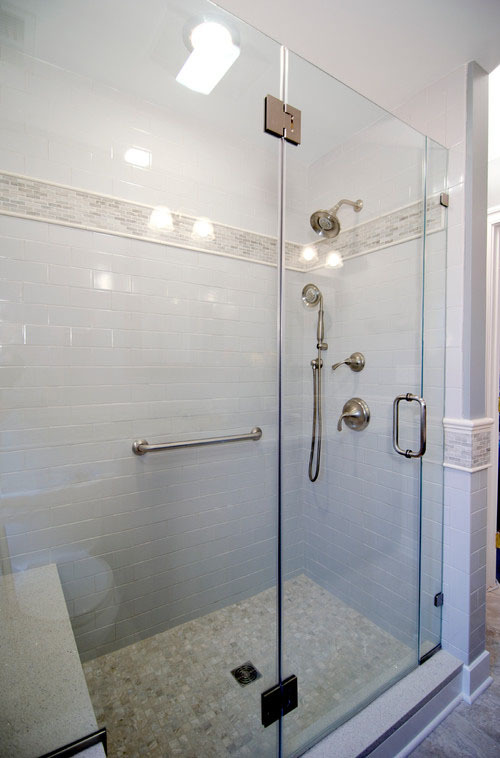 Products by Bethesda Design-Build Firms Case Design/Remodeling, Inc. In our segment with company president Bruce Case, we touched on the recent developments in our green initiative. Over 20 different lighting options as well as recycled products, like bamboo, can be integrated into your design. These small steps allow the homeowner to be as environmentally friendly as they like when thinking about their home remodel. Bruce also discussed the desire of many homeowners to create a space that will be both functional and accessible as they age. Creating a “universal design” for our clients who have these needs is something we strive to do. Implementing this idea allows for greater usability now and years down the road. Traditional Bathroom by Bethesda Design-Build Firms Case Design/Remodeling, Inc.
Executive Vice President Bill Millholland and Holly thoroughly enjoyed testing all the latest technology advances that we offer at Case. 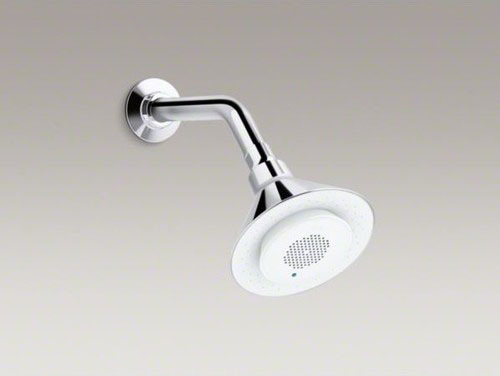 The shower head that doubles as a speaker was a big hit, as were our built in tablets that allow for home automation. With the click of a button you are able to control your AC, lighting, TV and radio. You can also do it all remotely! Project Designer Lisa Magee discussed the latest trends in home remodeling, focusing on cabinets, countertops and tiles. 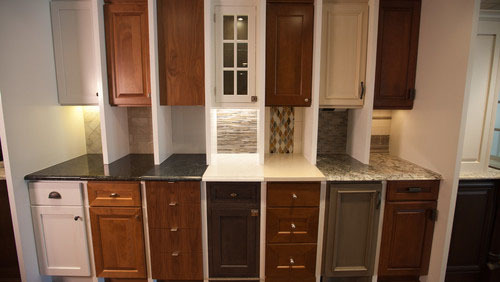 Breaking with tradition, many homeowners are now opting to combine contrasting colors in cabinetry and tiling to best suit their existing architecture. We see less of the smaller tiles and more of a focus on mosaic patterns and designs. 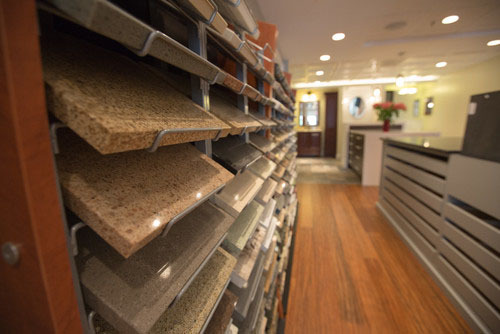 Our newly remodeled studio is stocked with different tiles, cabinets, countertops and other design elements, allowing you to mix and match to achieve your desired look.